Every part of Fleur is purposely crafted to blend seamlessly in with the area's existing design. Every notch, nook, curve and indentation is implemented with the goal of complementing its surroundings, while ushering in a sense of change. Fleur doesn't just contribute to the renaissance currently sweeping over the Garden District. Every residence has been conceived with high-quality finishes and attention to livability, including thoughtful features like pantry storage, deeper closets, and home office nooks all customized to fit by the award-winning interior design firm DesignAgency. 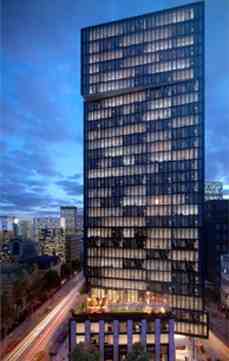 Fleur Condos is located at the corner of Church and Shuter Street in the Church-Yonge Corridor neighbourhood in downtown Toronto. 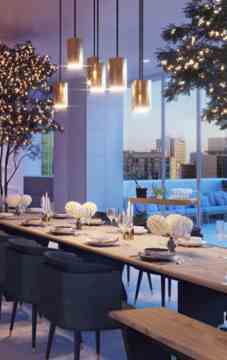 In Fleur condos you are connected to the entertainment centre, schools and Toronto's shopping centre "Eaton Centre". 60 Shuter Street has a Transit Score of 100 and a Walk Score of 99. Dundas and Queen Subway Stations are within walking distance. It is an exciting community to be a part of!